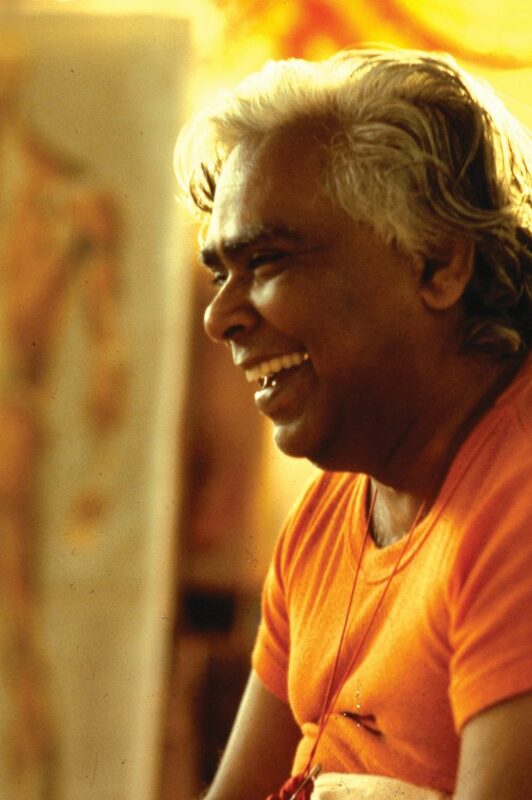 According to Swami Vishnudevananda, Vedanta & Dhyana (Positive Thinking and Meditation) is the most important of all the five Points of Yoga, for we become what we think. Yoga teaches us that a positive outlook on life can be developed by learning and practicing the teachings of the philosophy of Vedanta, and that the mind will be brought under perfect control by regular practice of meditation and living a Yogic lifestyle. We have waves of heat, light and electricity in science – in Yoga we also have thought waves. Thought has tremendous power. Everybody is always experiencing the power of thought unconsciously to a greater or lesser degree. Every thought that we send out is a vibration that never perishes. We must be very watchful in nipping non-positive thoughts in the bud. Only then will we be truly happy. A spiritual thought has a yellow color. A thought charged with anger and hatred is of a dark red color; a selfish thought has a brown color and so on. Each thought is a link in an endless chain of causes and effects, each effect becoming a cause and each cause having been an effect, and each link in the endless chain is welded out of three components: desire, thought and activity. A desire stimulates a thought; a thought embodies itself as an act. Our actions constitute the web of destiny. A positive Yogic lifestyle automatically generates positive thoughts. Asanas help move the prana and remove mental blockages. 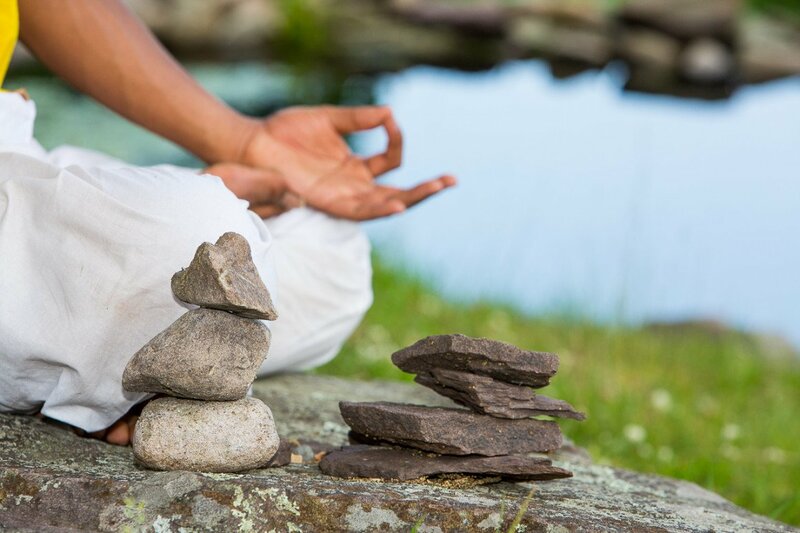 Pranayama balances energy and supplies new energy to the body and mind. Savasana removes stress. Proper diet provides vital energy and meditation recharges and purifies thoughts. Everyone has the power to transform his or her thoughts from the negative to the positive. As thought is immediate, one needs to master these different thought tools at our disposal because a negative thought becomes more serious over time by the power of repetition. There are methods offered through all four paths of Yoga (Raja, Karma, Bhakti and Jnana), methods for whatever path suits one best. If this topic is of deep interest to you, perhaps consider enrolling in the teachers training course, for you will find it incredible. For now we will summarize by offering this brief introduction and will continue with a few points to remember regarding meditation and learning to control the mind. 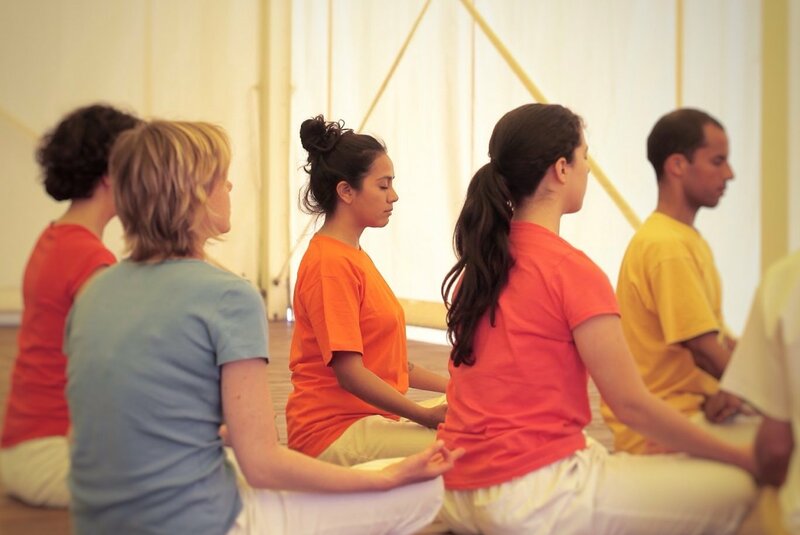 Sit in a steady, comfortable, cross-legged position with spine and neck erect but not tense. Before beginning, command the mind to be quiet for a specific length of time. Forget the past, present and future. Breathe in a rhythmic way – inhale for three seconds and exhale for three seconds. Regulation of breath also regulates the flow of prana, the vital energy. Allow the mind to wander at first. It will jump around but eventually will become concentrated along with the concentration of prana. Select a focal point on which the mind may rest. For people who are intellectual by nature, this may be the ajna chakra, the point between the eyebrows. For more emotional people, use the the anahata or heart chakra. Never change this focal point. Focus on a neutral or uplifting object, holding the image in the place of concentration. If using a mantra, repeat it mentally, and coordinate repetition with the breath. If you don’t have a personalized mantra, use Om. Never change the mantra. Regularity of time, place and practice are important. Regularity conditions the mind to slow down its activities with a minimum of delay.